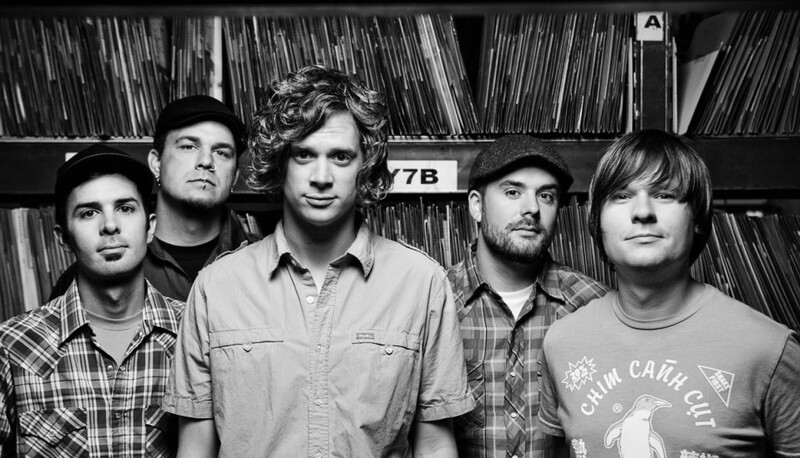 Pop rock pioneers Relient K are kicking of their summer tour and the release of their latest album, Collapsible Lung (out today via the band’s own Mono Vs Stereo label), with a performance TONIGHT at Rocketown. Joining the group are The Almost, The Rocketboys, and Mike Mains and the Branches. If you’re looking for a poppy, nostalgic, escape, we can’t think of a better way to spend your Tuesday night! As with all Rocketown events, the show is all ages and starts early- doors open at 6PM. Tickets are still available here, or can be purchased at the venue. Find out more about the bands and preview some tunes, below! Though they’ve gone through a couple of lineup changes and fallen off the mainstream radar to an extent (but that’s largely the case for pop punk as a whole these days), the band has continued to release fantastic albums over the past several years and maintains a fanbase as loyal as ever. Singer Matt Thiessen has proven time and time again that his songwriting chops are sharper than ever, penning hits for heavyweights like Owl City & Carly Rae Jepsen, Kelly Clarkson, Katy Perry, and Switchfoot, along with a few solo releases of his own. If recent tours with the likes of Paramore and Owl City, as well as plans for a new record in 2013, are any indication, Relient K won’t be slowing down anytime soon. With over a decade of touring and refining their songwriting under their belts, there’s no better time to catch the band live. Austin-based indie rockers The Rocketboys provide some substantial depth to the lineup with their intelligent, dense, and poppy sound. The band have honed their kack for crafting atmospheric, well-orchestrated tunes over the past several years with a handful of fantastic independent releases. They’ve also shared the stage with the likes of Grizzly Bear, Eisley, The Appleseed Cast, and more! Indie rock trio Mike Mains and the Branches first sprung onto the scene with their 2010 release Home. They’re unique, they’re poppy, they boast huge hooks without sacrificing substance, and they’re one of those opening bands that set the bar pretty high for every act other to follow. Get to the show early, or you’ll regret it! Relient K, The Almost, The Rocketboys, and Mike Mains and the Branches perform tonight at Rocketown. The show is all ages, doors are at 6PM, and tickets are available here.